What with the World Cup, Wimbledon and the Tour de France, we have had quite a ‘sporting’ summer in the UK so far, and if any of these events have inspired you to shed a few extra pounds and get in shape, one of the easiest ways to motivate yourself is with an activity holiday. It may be winter in NZ at the moment, but spring is just around the corner and summer will be well underway by the time you are ready for your winter break! New Zealand offers some fantastic cycling routes for both professional and semi-professional cyclists, and if you fancy joining New Zealand’s benchmark cycling event – now is the time to register your spot on the Lake Taupo Cycle Challenge. A one day, one lap 160km circumnavigation of Lake Taupo, this is a fantastic cycling event for the whole family, but if you are looking for something a little more ‘extreme’, simply choose one of the other 15 event categories on offer! If you prefer to keep both feet firmly on the ground, a trekking tour in Chile’s Torres del Paine National Park could be exactly the autumn/winter activity holiday you are looking for. Breathtakingly beautiful and suitable for anyone with a reasonable level of physical fitness, this fantastic trekking holiday will give you the opportunity to be at one with nature, meet local Chilean people, and experience the wonders of Patagonia. 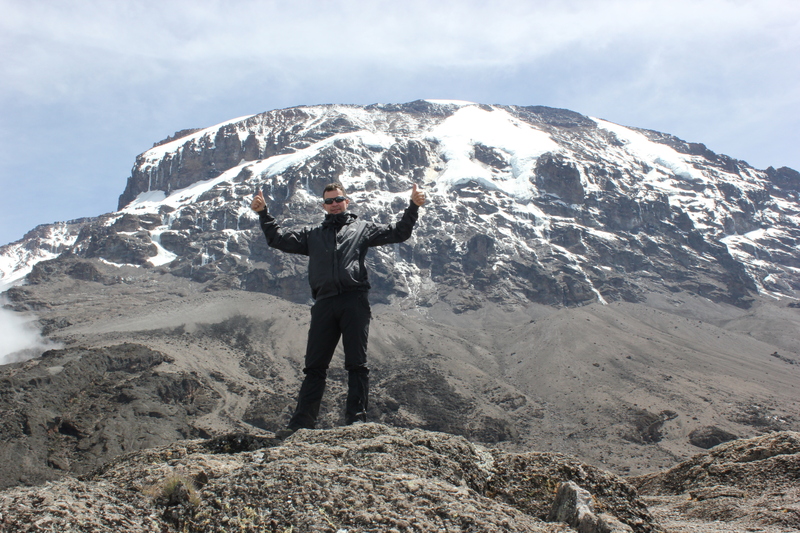 If climbing Kilimanjaro has been on your bucket list forever, why not make 2014 your year to tick it off! September to December is ‘peak season’ on mount Kilimanjaro, so you can expect warm sunny days, freezing cold nights, and the life-changing experience one can only get by climbing Africa’s highest mountain. The beauty of mount Kilimanjaro is that it is not technically challenging, and providing you train in the months leading up to your climb, you have a very good chance of reaching Uhuru Peak. So there you have it, three perfect reasons to get fit – not fat this winter! Previous Post Flying Transatlantic with a Budget Airline – Would You?